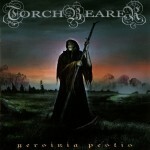 The works… Since the start, Torchbearer has been a conceptual band, applying all-embracing themes on each and every album. First to see the light of day was “Yersinia Pestis” (Metal Blade, 2004). A deep-sea diving into the ghastliness of the bubonic plague and its horrors, which took a heavy toll of mankind. 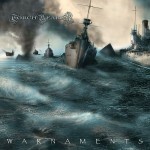 After that is was time for “Warnaments” (Regain, 2006), which thematically centred upon the First World War, in general and the navel battle of Jutland, in particular. On “Death Meditations” (Vic, 2011), the focus lies on the thoughts and ideas dealt with in the collected works of “Hagakure” – a book covering the proper manner in which to live and die, according to texts from medieval Japan, directed towards the samurai of the time. A subject matter that translates easier than one might think, to the world of today. 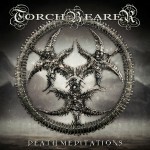 The future… So far, the Torchbearer experience has, if anything, been linked to each new album released. However, this may very well soon all change, so be sure to keep a lookout, cause when you least expect it, Torchbearer might come lighting up a stage near you!